If you are blessed to live out in the country you may find yourself needing to erect a utility pole at some time. The most common reason is for mounting a security light, or as my daddy called them..."booger light". Whatever the reason, this short primer will tell you how to get one in the ground and standing tall with minimum special equipment or help. First you need to pick the site for your utility pole, buy the pole and dig the hole. Obviously, the pole's intended purpose will dictate it's location as well as it's finished height. The general rule of thumb is to bury one-third of the pole for good stability. You have to take that in account when choosing your pole height. Example: If you want your security light to stand 12 feet tall you will need to buy a 18 foot pole. I would recommend putting up a pole taller than 20 feet be hired out, as it just gets too unwieldy. Dig your hole with post hole diggers, shovel, rented power auger, whatever you need and can afford. Line one side of the hole with your 2x6 boards. Hammer them down into the dirt firm. These will act as the backstop for your pole. Next dig out a progressively shallower trough leading away from the board-lined side. This will be the sloped track that the pole is pulled down toward the hole. 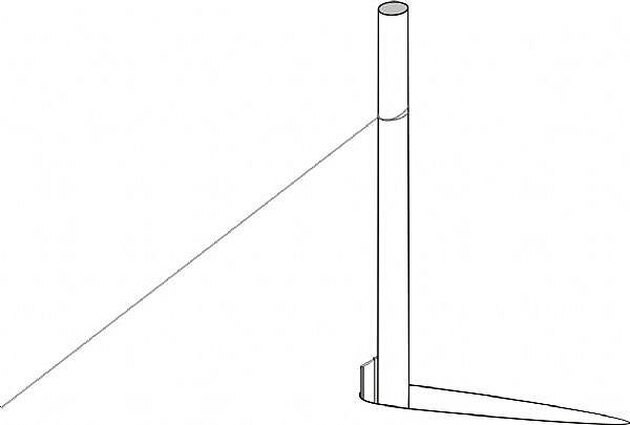 Position the pole with its base pointed toward the hole, in line with the slope. Attach a chain to the top of the pole. Wrap it several times around for a good hold. NEVER use rope. Rope can break and cause injuries. Position your truck or tractor on the opposite side. Begin pulling the pole down the slope and into the hole. You may want to have a friend guide the pole's progress with a board or short pole. 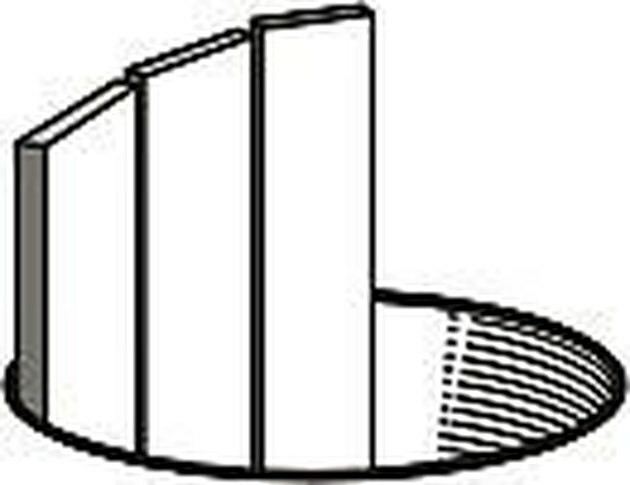 The pole's top will begin to lift in the air as it moves down the slope to the hole. when the pole hits the boards it will begin to lift as the chain continues to pull. When the center of gravity of the pole gets over the hole it will drop down into the hole. Remove the boards, level the pole and fill in the hole with dirt, rocks or concrete.